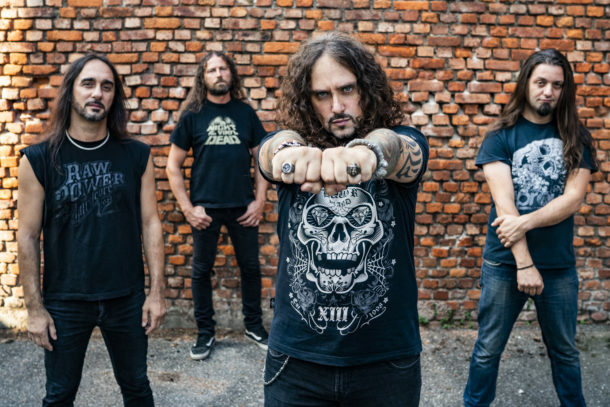 EXTREMA sign to Rockshots Records! Comments founding member and guitars player TOMMY MASSARA: “We are so excited to have inked a new deal with Rockshots Records! The aim to pursue ambitious goals together has been contagious. We feel extremely positive, and we can’t wait to start the game once again“. Adds Rockshots Records A&R, Roberto Giordano: “We proudly announce the signing of a worldwide record deal with Extrema! We’ve been following and appreciating the band over the years, and we are sure that the new album ‘Headbanging Forever’ will be a strong addition to the old fans’ collection as well as being a pleasant discovery for those who wants to give it a try“.